Happy Monday!!! 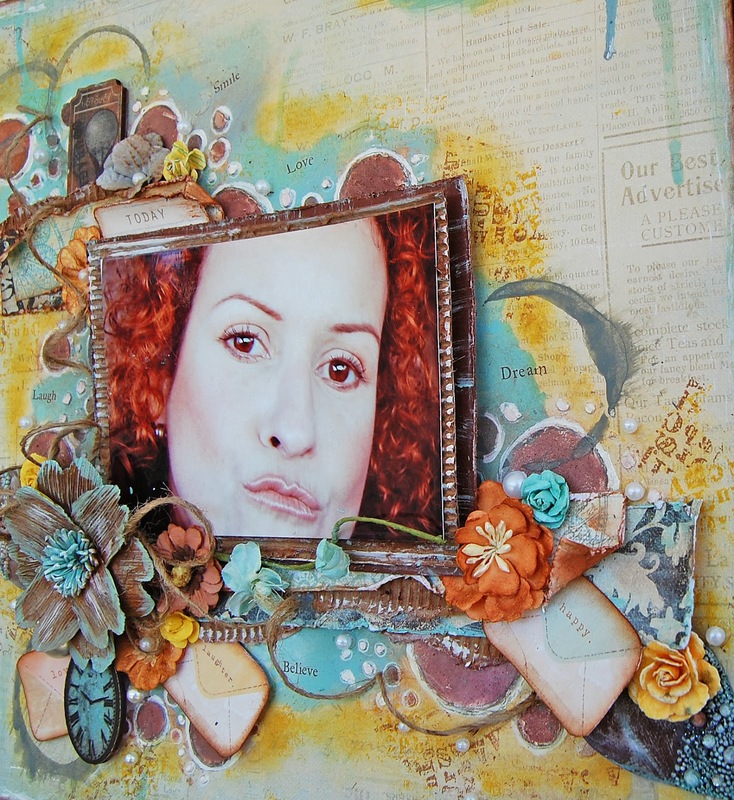 Today I'm sharing with you a page that I made using the February-Prima BAP and playing with the Feb-mix media challenge at Berry71Bleu. 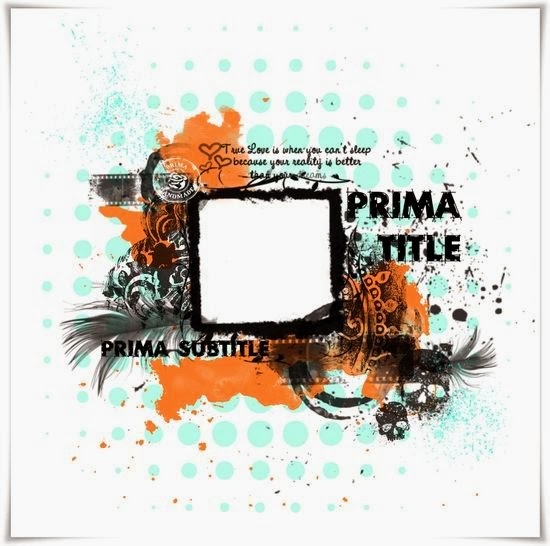 I worked with papers from four different collections by Prima here. My days are very relax now, I'm starting to enjoy this new step in my life so this is about my page... and I express my feelings with these lovely colors and all the good things that are happening in my life are being represented by all these layers... and the photo...well I was playing with my camera while hubby was driving the other day and I took it myself, just for fun. This is one of my favorites flowers from Prima, it's like straw and I painted it. Some fussy cutting from the Songbird collection. I worked the background with a Prima- stencil & stamp, molding paste, paints, chalk inks, distress inks and gesso. Supplies: Sonbird , Fairy Belle, Romantique and Printery collections , mask, flowers, leaves, wood embellishments, chalk inks, stamp by Prima. Thanks for stopping by and for all your sweet comments! Wowee, this is amazing! Everything blends together so well and I just love your use of colours and embellies. Striking eyes-match that beautiful brown flower! Wow! How absolutely gorgeous! 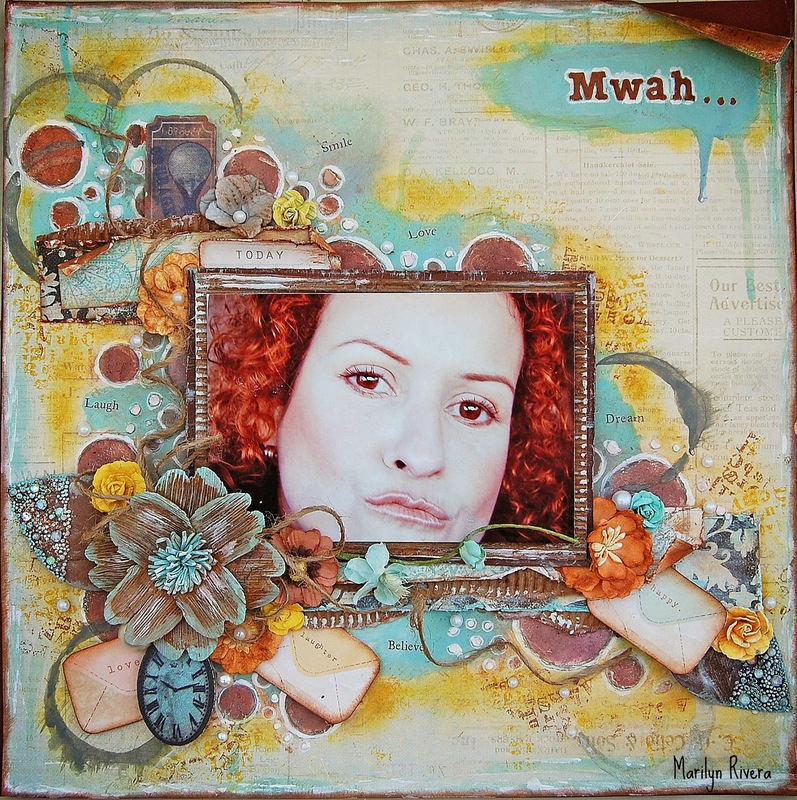 Love the fabulous mix you've used for the sketch.....perfect! Your pic and title look great together! Hi Marilyn!! So glad to hear that you're adapting very well to your new life! Oh you can tell that this is a very 'happy' page! Your mood speaks via this layout & it shows! Love all the layering, fussy cutting & your choice of bright happy colors--not to mention that fabulous selfie! :-) Thanks for joining us at Berry71Bleu! Wow!! Love this amazing creation! Thank you for playing along with us at Berry71bleu! This is beautiful!!!!!!!!! I love all the layers and textures that you got into this layout. Thanks for stopping by my blog the other day. Gorgeous page Marilyn! Love that photo of yours..I hope all is well with you in NC and not too cold for you!Thank you for sharing with us at berry71bleu! Beautiful photo and gorgeous design, love all your background work and all the great details! Thanks so much for joining us at Berry71Bleu!